Wow. That one word really sums up some of the rainfall totals recorded across the state in July. Here's a quick graphic that shows some of the impressive rainfall totals that aren't easily accessible in the map of monthly CoCoRaHS rainfall totals. 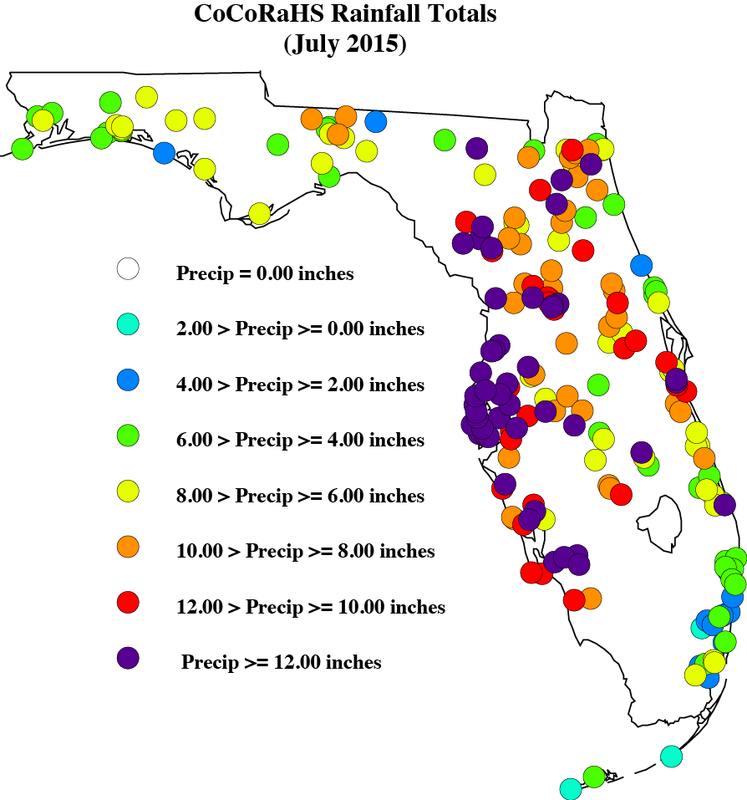 FL-LK-21 on 7/1/2015: "Disappointing start for our 2015 wet season. 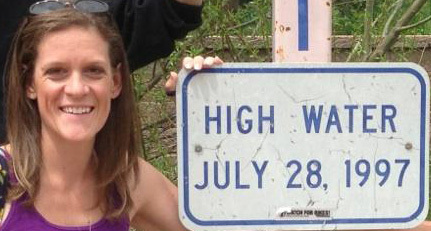 June 2015 rainfall for this reporting station was less than half PRISM average. May 2015 rainfall was also less than half the PRISM average. We are 6.64" below normal for the year." FL-PB-39 on 7/11/2015: "If this is rainy season we're in trouble!" FL-MD-7 on 7/24/2015: "I live in a storm death zone. I watched 2 storms approach from the west and one jumped to north. 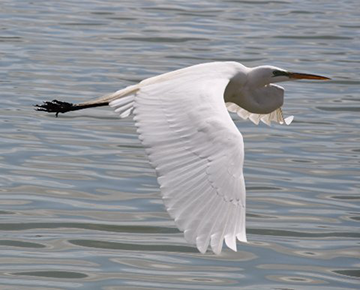 The other one jumped over my house and continued on towards the east." 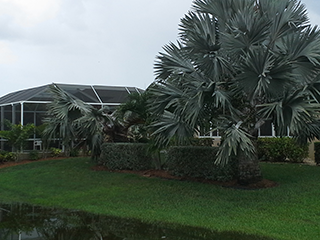 FL-CT-7 on 7/29/2015: "Have had deluges worthy of a monsoon the past 4 or 5 days. We are beyond "raining cats and dogs". I'm looking for bigger animals, like giraffes and elephants." 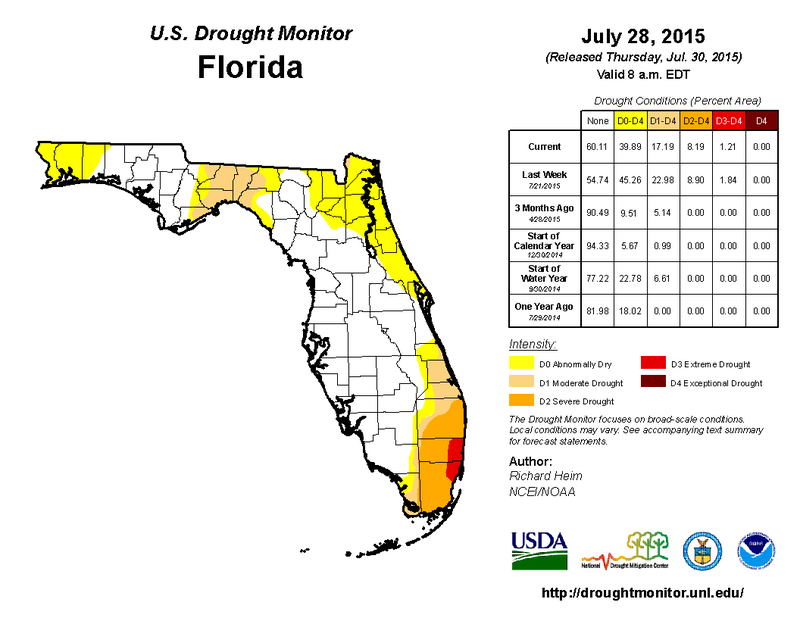 FL-BV-32 on 7/31/2015: "Month to date now 11.63" or 237% of normal. Still less than the 17.18" in July 2007 but most rain in a month since August 2008 and Tropical Storm Fay. And more rain expected today!" The past few weeks, I've received a number of observer photos that I'm excited to share with you all. 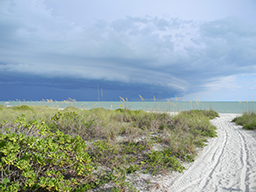 Bob and Gretel from Monroe County sent in this amazing picture of a storm off of Sanibel during their vacation in late June. 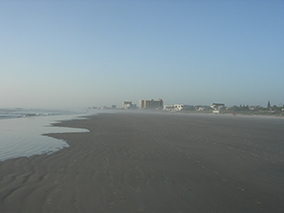 Carolyn from Volusia County sent in this picture of morning fog along the beaches near her home on July 8th. 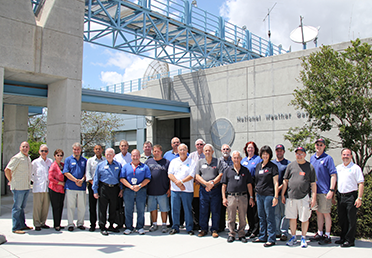 Jan from Broward County sent in this group photo of members from the the amateur radio station WX4NHC visiting the National Hurricane Center in Miami. WX4NHC is been activated whenever a hurricane is within 300 miles of landfall in the areas of the western Atlantic, the Caribbean or the eastern Pacific. The group also provides Emergency Backup Communications from NHC to NWS Offices and other agencies in case of local landfall. 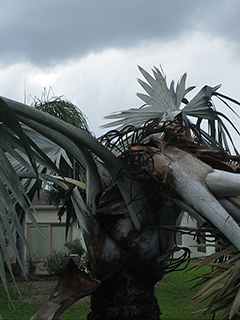 Bob from Brevard County sent in these pictures of damage done by lightning to one of his neighbor's silver palm trees. 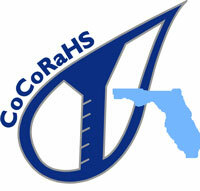 The tree that was hit was located about 60 feet from his CoCoRaHS rain gauge. Luckily, no one was injured when the tree was struck. 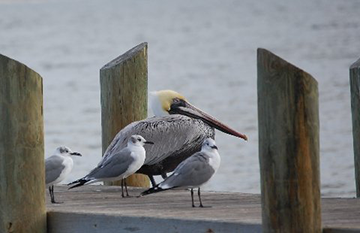 Don from Hillsborough shared more of his wonderful pictures of wildlife along the western Florida Coast. If you've got any pictures you took on your travels or at home -- rainfall, floods, drought impacts, beautiful sunrises and sunsets, or anything else you'd like to share -- please send them to me. 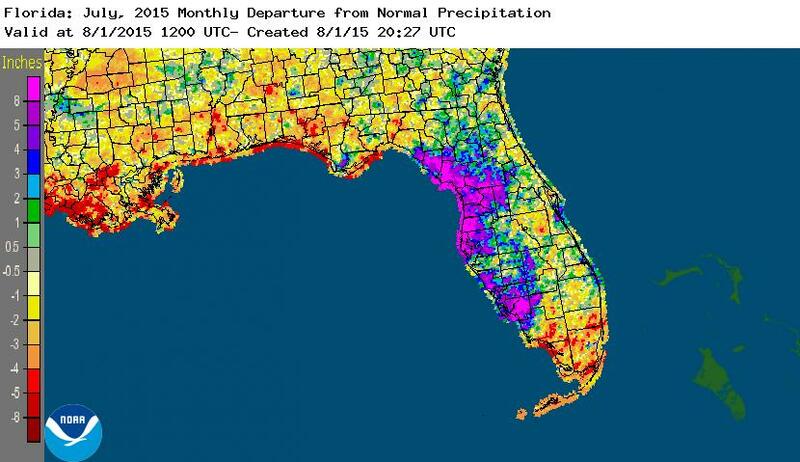 Portions of the western coast of Florida had well above normal rainfall, while the Panhandle and southern Florida recorded below normal rainfall (Figure 1). 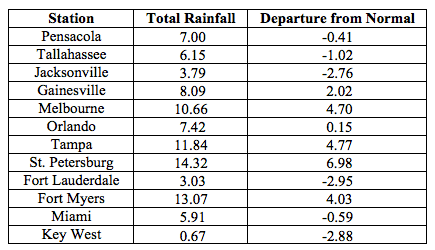 Departures from normal roughly ranged from -2.95" to 6.98" (Table 1), though localized parts of the state saw rainfall totals that were as much as 8.00" below normal to 8.00" above normal (Figure 1). 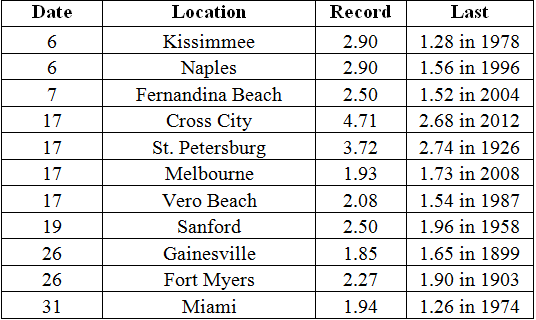 July 2015 was the 7th driest on records in Key West and the 8th wettest for St. Petersburg. There were multiple 24-hour precipitation records broken for the month (Table 2). Table 1. July precipitation totals and departures from normal (inches) for selected cities. At the end of June, nearly 41% of the state was experiencing abnormally dry (D0) or drought conditions. The main concentration was seen along the east coast of the state, and in portions of northeastern and southern Florida. By July 7th, area of D0 was added into Escambia, Santa Rosa and Walton counties. As the month progressed, limited rainfall led to continued drought conditions in North Florida and the Big Bend, where moderate (D1) and severe (D2) droughts were reported. In South Florida, the area of D2 conditions was expanded in Broward, Dade and Palm Beach counties. Severe drought (D3) conditions were introduced along the Gold Coast. Rains toward the end of the month helped ease D2 in the northeastern part of the state and along Volusia and Brevard counties. Based on census data, roughly 6 million Florida citizens are currently being impacted by drought conditions reported in nearly 40% of the state. At the end of the month, the water level in Lake Okeechobee had dropped to under 12 ft., mainly due to lack of rainfall across the basin. This pushed the lake into water shortage management stages.